Metamorphosis means: “a change of the form or nature of a thing or person into a completely different one” (1) Does this sound like something you’re going through? Because it is! Your journey has taken you down many roads and today you have made it through the other side to a stage where you simply require reinforcement. This week is about you reinforcing these changes to ensure that you continue your good habits to reap the rewards of your hard work. Foods are only good for you if your body responds to them positively. If you overeat any one food in excess, you are likely to eventually have a negative response to it even if the food is heathy. If you suffer from any digestive problems, eating the same food puts you at risk of developing food intolerance even if you don’t currently have it. Precautionary measures include a ‘4-day rotation diet’. This prevents overindulgence of any one food. Rotation ensures your immune system does not overreact to a food that your body may have become sensitive to. If you have followed the Nutritional advice in full, the results should now be inevitable. 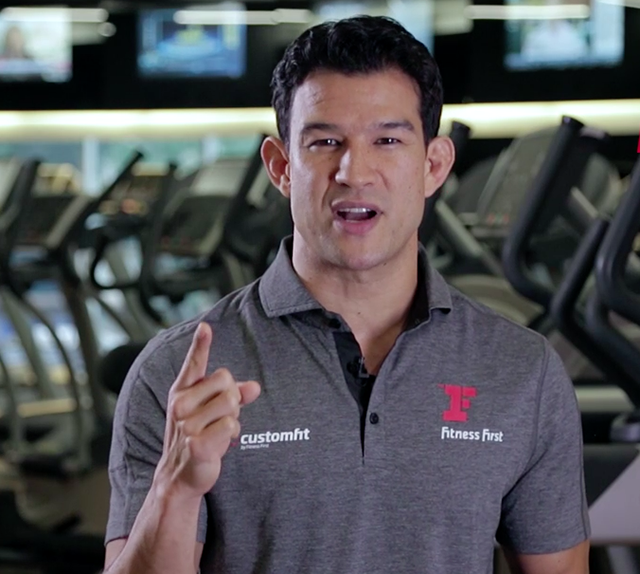 Side effects of your Fitness First 10-Week Get Fit Nutrition Programme are usually improved energy, better sleep, healthy weight, improved concentration and mood. If you had elevated triglyceride levels or fasting blood glucose, then it is also likely that these may have improved. Remember, the more disciplined you have been, the better your results should reflect this. This week’s goal is about addressing any shortfalls you feel you have. What What is your reward for completing Week 9′s goal? EFA – Eat one raw seed or nut snack per day. Add chia seed or flaxseed to breakfasts and eat salmon 2x over the week. Why I can get stuck eating the same foods just cooked in different ways every day. I need to be aware. 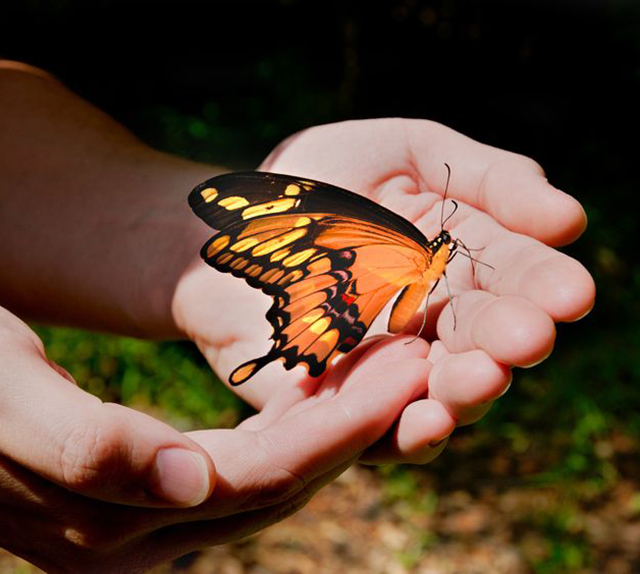 Education: Metamorphosis – your true beginning. Action of the week: Analyse your new eating patterns. What do you feel you have taken up easily? Which aspects are challenging? Identify why and look at how you can overcome them.Tip: You are much more likely to succeed long-term if you consciously identify why an aspect of adopting a certain healthy habit is challenging to you. Look at why it is difficult and how you can find a solution. Challenge: Find your weakest point. If it is sweet food, then eliminate it for a week. Over this period, find some solutions to combat your challenges. Create some rules for yourself or tasty alternatives that fill the void. As we get older, women especially tend to gravitate towards a sweet tooth. Sugar can be found in unexpected food or drinks. For example, you may enjoy the occasional wine but did you realise that wine is actually just another form of sugar? A sweet tooth can also be an indication of a blood sugar imbalance, a dominance of pathogenic bacteria in your intestine or excessive stress that increases cravings. Generally, a savoury tooth is a good sign that you are in control of your food. Often when transferring from a dominant sweet palate to a savoury palate, it is important to start with some tasty introductions. 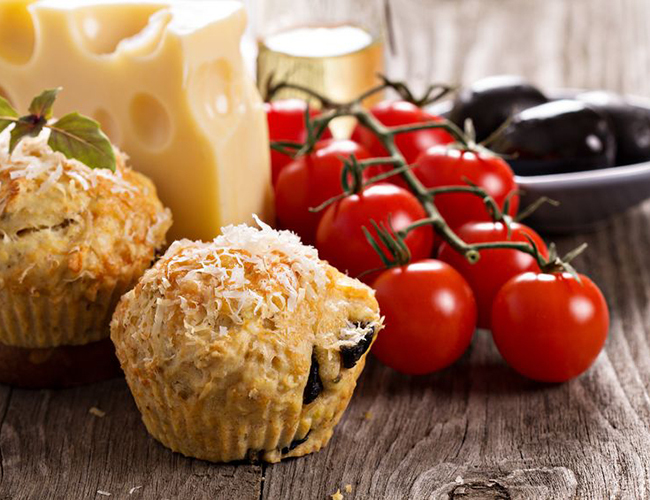 Below is a fabulous alternative to a sweet muffin or slice. This is the perfect alternative to a cake or cupcake. You can still have the food without the sugar. 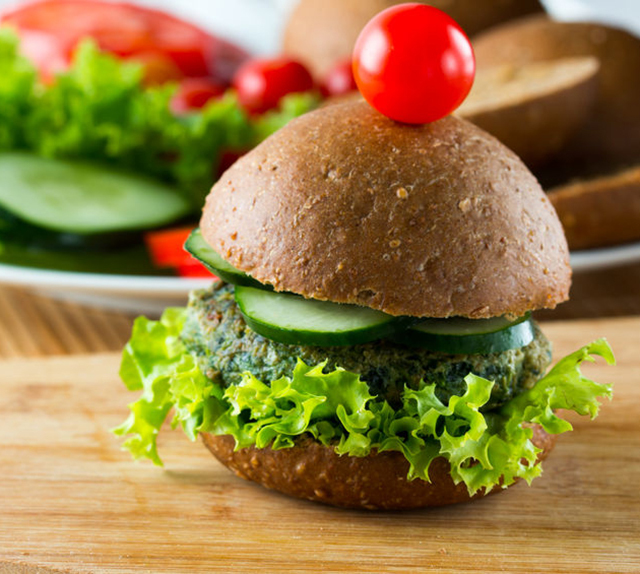 You can incorporate a huge amount of vegetables into it yet not feel like you are munching on a salad. You can have it as a snack or incorporate it as part of a meal. Best of all, it tastes totally delicious. Dice all vegetables into small cubes. In a fry pan, put a dash of coconut oil and some tamari sauce. Add the vegetables and cook until soft. Add the turmeric and half the all-purpose seasoning. (If you like chilli you could also add some to spice things up to taste). In a bowl, beat the eggs. Add the dry ingredients and remaining all-purpose seasoning, oil and water. Mix thoroughly. Add all cooked vegetables and mix through the batter. Add cheese, diced into small cubes (if you want goat’s cheese). Grease a bread tin thoroughly and fill with the mix. Or put into a cupcake pan. Cook on 180 degrees for 30 minutes or until the top is golden brown. Tip: Add avocado slices, alfalfa sprouts or fresh herbs on top. 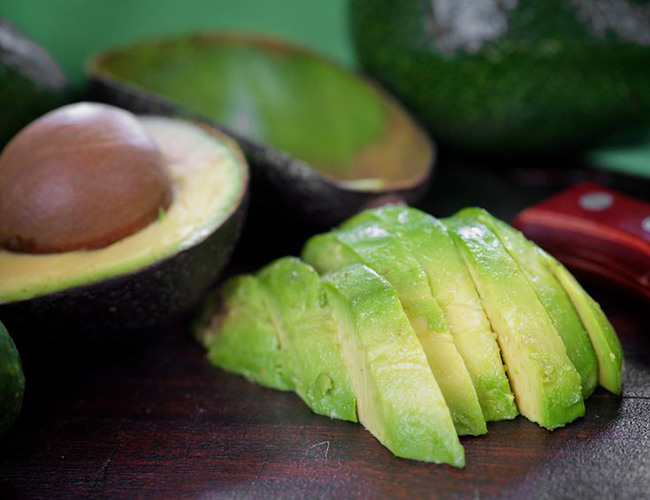 The avocado is a scrumptious alternative to butter! Tip: Slice and freeze portions for any quick and delicious food fix you may need in the future. Your below ‘action log’ is a list of the positive changes you have now made to improving your health. Week 2: Sustain reduced sugar and carbohydrates (2 carbs or 1 sugar per day) Blood sugar balance for increased energy, weight management and health. Week 4: Sweet awareness. Being aware of your sugar consumption. When, where and how much. Sugar impacts health. Being aware of how much sugar you consume can help you in moderating your consumption long term. Week 5: Establish your 80/20 rules. Self control test Allow yourself the foods you love in moderation means your improvement in eating habits need not be temporary. Week 6: Top Timing is key to optimising your health. Ensure you time your meals and snacks throughout the day Timing of both what you eat and when you eat it helps to sustain energy levels, maintain a healthy weight and promote a sharp mind. Week 7: Don’t avoid fat. Understand the difference between good and bad. Good fats (essential fats) are beneficial for the brain, are anti inflammatory, help improve energy, digestion and weight loss, promote good skin and prevent ill health. Bad fats contribute to heart disease, Alzheimer’s, diabetes bad cholesterol, weight gain. The difference is paramount. Week 8: Rotation, not repetition is key. Do your best not to repeat a food, especially protein within 24 hours. Rotation is key to maintaining healthy digestion and prevention of food intolerances. It maximises nutrients obtained from different foods. Week 9: Every stage is just as important as the last or the next. Take a look at your progress to ensure you have balance at each stage. Every step you take brings you closer to your end goal. Each of your 8-week programme has an essential tool for your future health. This tick box is for your personal use. It highlights different areas of importance alongside healthy eating. Rate each category from 1- 10. (1 is as bad as it gets and 10 as good as it gets). Do this each week to make your Fitness First 10-week Get Fit Journey progress measurable for you.